Consider, if you will, visit to your doctor as if you are going into a business meeting. Most often, at the end of the day, that’s what it comes down to. Think not only of your health when you ask your doctor questions but your wallet as well. I have not heard of any doctor who is in the profession solely and entirely for curing humans’ illness of any kind. They go to school, get loans in the hope that some day when they become doctors, their profession will give them a nice return on their investment and then some. 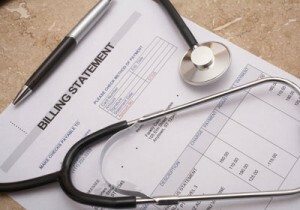 When I did research for the article “cut your hospital bill by being skeptical“, I thought I gained enough information about doctor bills that I would write an article on it too. Show up as prepared for each doctor’s visit as you would for an important business meeting. Bring notes about your medical history, symptoms, medications and questions that you want the doctor to answer. Usually the doctor would write in your record file while you are asking questions. Ask to explain what the doctor is writing in your file. Once you receive the bill, you are entitled to a free copy of the lab report if any. Ask your doctor to explain it to you. Don’t just pay the bill right away. The more you know, the better able you will be to gauge what treatments are appropriate and which expenses are worth questioning. Take advantage of the doctor’s phone hours which will save you time and money. However, there is a difference between avoiding unnecessary visits to specialists and foregoing important preventive measures. Case in point: Avoiding flue shots and treatment for high blood pressure can turn out to be serious mistakes. Symptoms-free adults under the age of 65 can save a lot of money in a year by reconsidering whether they really need an annual physical. The American Medical Association’s guidelines suggest a full checkup every five years for adults ages 21 to 40, and every few years thereafter. Of course, that depends on your health. Did you know that doctors themselves get physicals less often than do other professionals of the same age? So avoid annual physical if you don’t see and feel any symptoms for a certain illness.